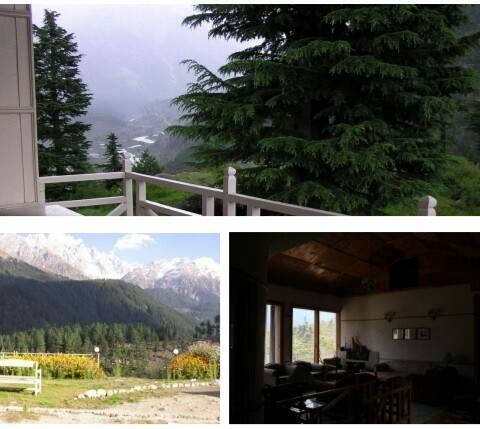 Book Pine Crest Boutique Hotel Kalam on cheap rates | iMusafir.pk. Pine Crest Boutique Hotel is located in Kalam, Swat, Pakistan.It has neat and clean rooms equipped with all basic amenities e.g. Cable T.v, Room service and neat and clean bathrooms. The villa is surrounded by a charming garden, with cherry trees, magnolias, apple, wisteria, gladiolas, vigellas, daffodils and a variety of seasonal wild flowers. Ferns and alpine shrubs grow along a stream bringing water from an alpine lake. How to get there: BY ROAD: From Islamabad, it takes about 7 hours with 2 breaks. Entering Kalam, make a left at the bazaar centre towards Jalband follow the winding road (2 km.) to the end at your final destination.